Well bred Boxers from reputable breeders should live long and happy lives. However, if due care is not taken by breeders, it is possible for Boxers to be affected by the following hereditary problems – Cardiomyopathy (BCM or ARVC), Aortic Stenosis (AS), Hip Dysplasia, Degenerative Myelopathy (DM) and Thyroid Disease. All these conditions can be tested for. Some other conditions which can affect Boxers include Demodectic Mange, Cancer, Bloat & Allergies. Below is some information on these conditions. Boxberry Boxers undertake health testing of all breeding stock. All of our breeding stock has been tested for Aortic Stenosis *noted by HT? beside their name, and have the ARVC Gene test done *noted by CC (Negative), AC (Positive Heterozygous) or AA (Positive Homozygous) beside their name. All of our breeding stock is holter monitored annually and our imported Stud dogs have had Doppler tests done. 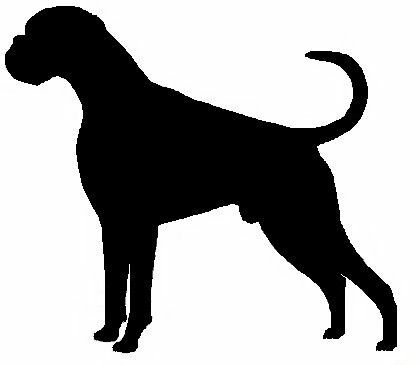 All of our dogs have their health testing results listed on their individual pages. We are dedicated to producing Happy Healthy puppies, when new tests become available we will take advantage of them. Copies of our dogs health testing results are available to view at the time of matings or puppy purchases. Cardiomyopathy is one of the most common causes of sudden/unexpected death in Boxers, both young and old. Dogs with Cardiomyopathy often show no symptoms until they have a Cardiac Arrest. The disease involves a disturbance in the electrical conduction which causes the heart to contract too early, producing an extra ineffective beat - in Boxers this condition is now called 'Familial Ventricular Arrhythmia (FVA)' or 'Arrhythmogenic Right Ventricular Cardiomyopathy (ARVC) - which is an electrical problem rather than a disease of the heart muscle. Another way of screening for this disease is the Genetic Mutation Testing Service for Boxer Dog's Arrhythmogenic Right Ventricular Cardiomyopathy offered by NC State University, this is done via a simple blood test or cheek swab and sent to the Veterinary Cardiac Genetic Laboratory (VCGL) at the NCSU, results are returned within a few weeks. This method does not rule out ARVC, and as such should only be used as a guideline for breeding, it is not a means to diagnose a Boxer as being clear of or as having ARVC and should be taken into account with Holter monitor results. Negative dogs can have symptoms up to and including death, and Homozygous dogs can have no symptoms (including PVC's on a holter). Aortic Stenosis is a developmental defect where there is a narrowing under the Aortic Valve in the Heart, this means the blood flow is disturbed and the heart has to work harder to get the results. The reduced blood flow can produce symptoms of fainting and even sudden death. The defect results in a Murmur that can be heard with a Stethoscope. The degree of severity of the defect will affect the strength of the Murmur. Aortic Stenosis develops as the dog’s heart grows, assessing a young dog may be misleading. Many puppies have ‘Puppy or Flow Murmurs’ - most disappear by about 4 months of age. Even if the Puppy Murmur persists there may be no cause for alarm so long as they are quiet - genuine "Flow" Murmurs are not associated with heart disease in the adult. A pup that is free of Murmurs at 8 weeks of age, may develop a serious Murmur by the time it is 18 months old. The best way to diagnose AS is to have an adult dog’s (over 1 year) heart listened to by a specialist Veterinary Cardiologist. The murmurs are graded on a scale from 0-5 - with 0 being a clear heart free of any murmur (HT0), and 5 being the worst. For a more accurate grading, Doppler examination is advisable. Hip Dysplasia is the number one cause of rear lameness in dogs and results in an arthritic condition of the hip joint which is caused by a looseness in the joint, with the development of arthritis as the dog ages. Diagnosis is made by X-Rays of the hip joint and does require general Anaesthesia. The X-Rays are evaluated by specialist Veterinary Radiologists. 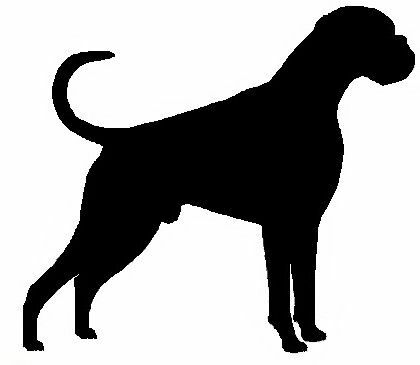 The dogs are graded as excellent, good, fair, borderline, or mildly, moderately, or severely dysplastic from 0-6 (0 being excellent and 6 severely dysplastic). The grading will depend on where the dog has scored on the score sheet. 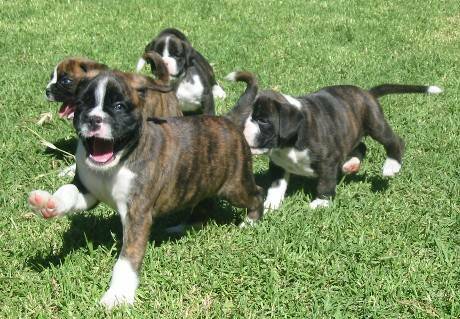 Dogs are also ranked with other members of its breed with a total score, the breed average score in Australia for Boxers is currently recorded at 14.89. Hip Dysplasia is thought to be genetically inherited, but the way it is inherited has not been established, since multiple genes and environmental factors may play a role in its development. While some have questioned the frequency and severity of Hip Dysplasia in the Boxer, some breeders are now testing their dogs. DM is similar to multiple sclerosis in people. It affects the central nervous system (CNS), which consists of the brain and spinal cord. The CNS is responsible for carrying nerve impulses or messages to and from the muscles. Axons carry these messages and are similar to electrical wires. As with electrical wires, axons require insulation. Without insulation, the message leaks out. In the progression of DM, the myelin sheath (insulation) on the axon is damaged or slowly destroyed rendering the muscle incapable of carrying out a movement. To date there is no cure for DM, however, there are several additional measures you can take that will help slow its progression, therefore maintaining your dog’s quality of life. Keep your dog at his appropriate weight. Extra weight will make his symptoms worse and add more stress to his joints. Aerobic workouts will be easier for a dog that is not overweight. A DNA test is now available through the OFA (Orthopaedic Foundation for Animals). The test clearly identifies dogs that are clear (NN), those who are carriers (NA), and those who are at a greater risk of developing DM (AA). There are questions as to the frequency of Degenerative Myelopathy in Boxers in Australia, fortunately, we have yet to experience this debilitating disease. This is the next test we are preparing to undertake on our breeding stock (in 2010), and will be noted next to their names when completed by either DMN (normal), DMC (carrier) or DMA (affected). Thyroid disease in the Boxer usually occurs as Hypothyroidism. It often develops slowly over several months or years. 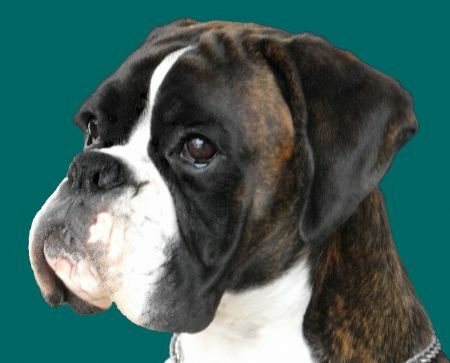 Many breeds, including the Boxer, seem to be genetically predisposed to Hypothyroidism. Affected animals may have no energy, coarse coats, significant hair loss, gain weight, experience infertility and/or foetal resorption or show neurologic problems. Diagnosis may be obtained by performing a panel of tests. Repeat testing may be recommended at regular intervals because the disease can be slow to develop and current test results may not predict future problems. The Demodex mite lives on the skin of all dogs, and is passed to puppies by their dam. In healthy dogs, this mite causes no problems. However, Demodectic Mange can occur when a dog has a weakened or compromised immune system. There is the thought that all dogs that develop generalised Demodex should be desexed as there is a genetic link to the development of generalised Demodectic Mange. Demodectic mange can occur in localised form, which is characterised by a few spots that do not itch. These patches usually appear on head, neck and fore limbs. 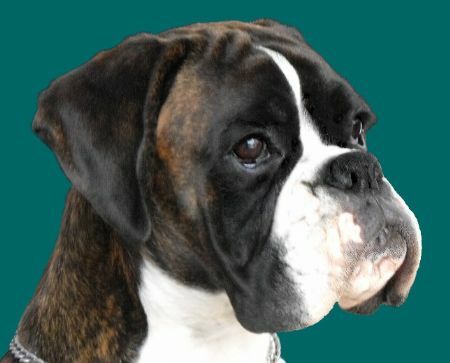 Boxers are particularly prone to the development of Mast Cell Tumours, Lymphoma and Brain Tumours. White boxers, and coloured boxers with white markings should be protected from the sun as they are more susceptible to skin cancer. Bloat is a very serious condition that occurs when the stomach becomes distended with air, and then twists while dilated. This interferes with the blood supply to digestive organs, blocks the passage of food, thus leading to worse bloat. Dogs affected by bloat can die within hours. Dogs most susceptible to bloat are the large, deep-chested breeds, in which the stomach appears to be more mobile within the abdomen. Risk factors are: hereditary predisposition, over-eating (large meals), rapid eating, eating dry food then drinking a lot of water. The risk of bloat increases with age. Slow the dog's speed of eating. Don’t allow the dog to have a large amount of dry food then drink a lot of water. Refrain from exercising dogs after a meal. Boxers can be prone to allergies, which can be environmental or food related. Some Symptoms are itchy, scaly and sometimes infected skin. For food related allergies, the best treatment is to feed the dog a BARF (Bones and Raw Food) Diet. We use and recommend the Royal Canin Boxer range of Dog food.